The art of the convivial, joyful meal shared with friends and family has evolved in recent years. The growing popularity of dinner clubs and themed potlucks attests to our desire for get-togethers at home that are out of the ordinary; as well, temporary pop-ups and secret supper locales (where the address is often kept under wraps) are redefining the notion of the traditional restaurant meal. But where do vegans fit into all this fun for foodies? 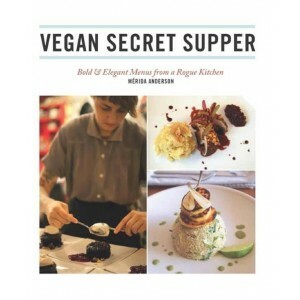 Vegan Secret Supper is a collection of imaginative, delectable, animal-free recipes by chef Mérida Anderson of VSS (Vegan Secret Supper), a dining club that she has run in Vancouver, Montreal, and New York. At VSS, Mérida creates amazing vegan dishes that prove that sophisticated, spectacular dinner parties do not require the use of animal products. With her focus on menu-planning and simple, seasonal ingredients, she offers readers all the tools they need to create healthy, sumptuous meals, whether it's a dish for a potluck, a romantic dinner for two, or a celebration for twenty. 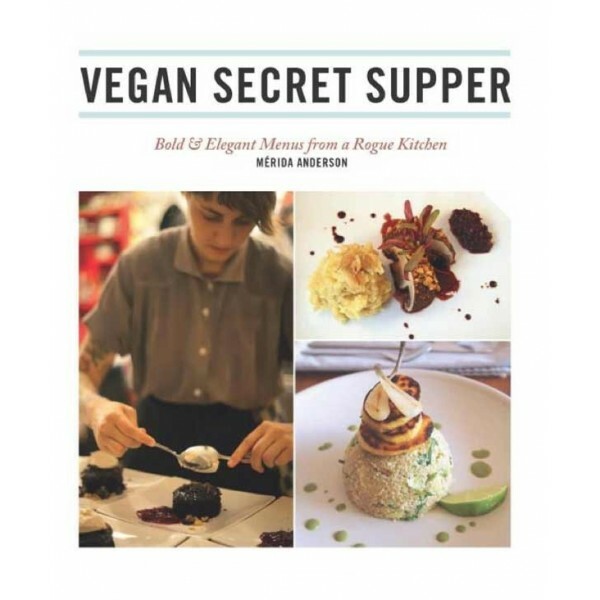 Full-colour throughout, the book's recipes include Split Pea Bisque with Minted Cream; Smoke-Blanched Cauliflower on Red Quinoa Tabouli; Walnut and Roasted Yam Croquettes with Ancho Balsamic Beet Reduction; and Dark Chocolate Cake with Avocado Mint Ice Cream. Merida's culinary perspective and delectable menu ideas will inspire you to create your own vegan secret supper club at home.